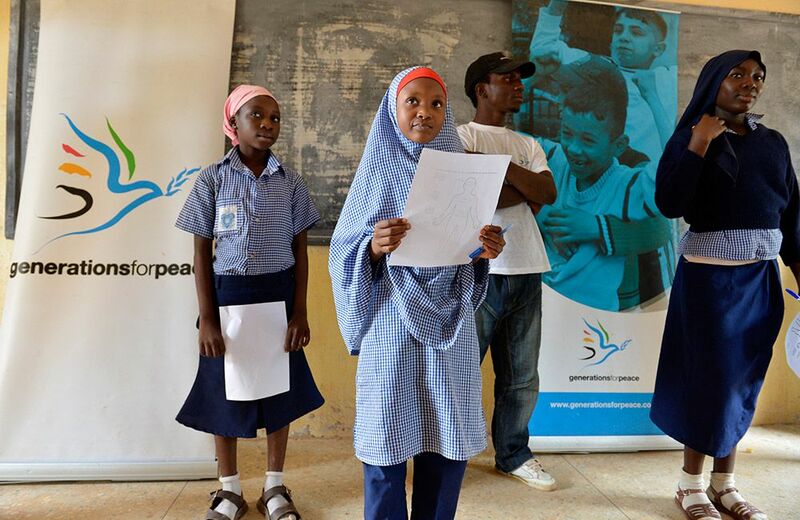 Generations For Peace has created a unique curriculum designed to empower our volunteers with practical knowledge and skills to apply peacebuilding theory to situations of destructive conflict in their communities. It equips them to organise activities for children, work with youth and adults, train other volunteers, and gather support by building and strengthening community networks and partnerships. Our mentoring model provides support to our volunteers in every step of their engagement with Generations For Peace, and helps build their confidence when engaged in the challenging contexts of their home communities. Our cascading model increases reach and reinforces the sustainability of our volunteers’ own peacebuilding efforts, whilst responding to local needs and building on local assets, knowledge, and strengths. It also ensures that the number of volunteers implementing Generations For Peace programmes continues to grow exponentially, bringing the hope of lasting peace to more generations in communities around the world. Generations For Peace empowers and mentors volunteer leaders of youth through its Pioneer Certification Programme. The Programme is key to implementing, supporting, and sustaining behaviour change in the communities around the world. Volunteer youth leaders from around the world go through a rigorous process to be selected as Delegates to attend a Generations For Peace camp or a Generations For Peace local training. To become a Generations For Peace Delegate, volunteers are expected to meet strict selection criteria, including leadership potential and determination to lead change to achieve lasting impact; conflict sensitivity and commitment to Generations For Peace values; a strong network and community-oriented experience; and the capacity to attract support, to train, motivate and mentor others, to implement high-quality activities, and to learn and adapt. Our trainings provide Delegates with knowledge in peacebuilding and conflict transformation, equipping them with the skills needed to carry out Generations For Peace programmes in their own communities. Training sessions both outdoors and in the classroom are intensive and interactive, based on ‘learning by doing.’ They allow time for Delegates to practice what they learn through group and individual exercises, and encourage them to think of how the new skills will be applied in their own programmes. Throughout the training, Delegates also receive specific mentoring, which strengthens their reflection skills and encourages them to apply their learning to their own context. This mentoring also focuses on the development of the skills necessary for Delegates to implement effective Generations For Peace programmes following the training. Training is delivered by our “home-grown” Pioneer Facilitators, who were once Delegates themselves, and who have overcome the same challenges new Delegates will face. They give our training authenticity, making it more credible and accessible to the Delegates following in their footsteps. The curriculum is developed and updated regularly in response to feedback from our volunteers and the latest research and innovation from our Generations For Peace Institute. It is available in several languages and continues to be translated into others so volunteers can deliver training in their native tongue. Post-training, Delegates finalise their programme plans in consultation with other volunteers, Generations For Peace Headquarters, and available local partners and networks, and prepare for implementation of their programmes. Ongoing Activities: to support behavioural change in the defined Target Group, leading to lasting positive impacts in the broader beneficiary community. Each programme cycle lasts approximately twelve months and is based on one or more conflict transformation tools from the Generations For Peace curriculum: sport, art, advocacy, dialogue, or empowerment for peace. To support Delegates, the mentoring advice and guidance from Generations For Peace Headquarters that began during the training continues, through email and phone contact, video conferencing, and field visits. The Delegates are given technical support, curriculum and promotional materials, but only very limited financial support rephrasing for ease of understanding The Delegates are given technical support in addition to curriculum and promotional materials, but only very limited financial support. The emphasis is on Delegates developing relationships and securing support from local partners and stakeholders, using the skills they have learned: local partnerships are at the heart of our sustainability model. Only once Delegates have implemented approved Generations For Peace activities and met mutually-agreed targets, do they become certified as a Generations For Peace Pioneers. 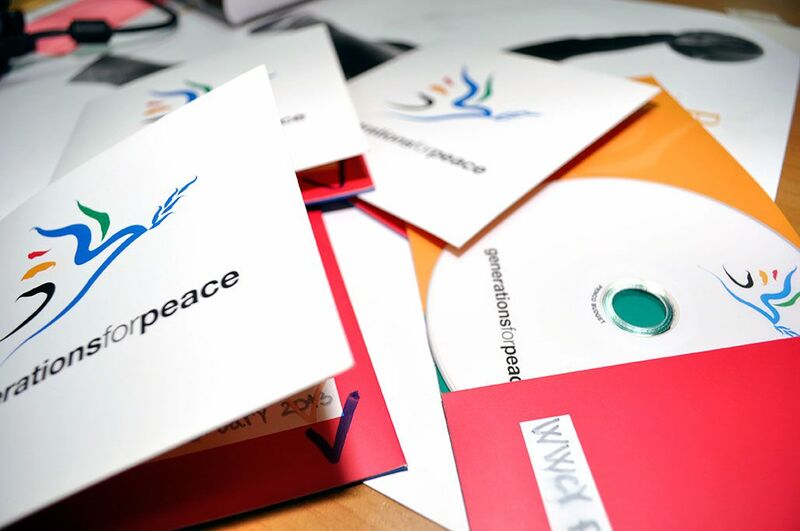 The aim is to successfully implement a programme cycle, within twelve to fifteen months, to be eligible for certification as a Generations For Peace Pioneer. to provide further opportunities for advanced training, for specialised training, and for continuous learning and skills development. Support is demand-driven and responds to the specific needs of each Pioneer and their programme. • REFRESHER WORKSHOPS: help our Pioneers keep up to date with Curriculum developments, acquire new knowledge and practice, and improve their skills. Often conducted at the regional or international level, Refresher Workshops are also an opportunity for ‘horizontal learning’, sharing and exchanging programme experiences, successes and challenges with Pioneers from other countries. , and it leads directly to improved programme effectiveness, impact, and sustainability. The training also facilitates ‘horizontal learning’ and the sharing and exchange of experiences, success stories, and best practices, as well as challenges and lessons learned, across different programmes. This strengthens our overall ‘community of practice’ and leads to more innovation and replication of best practices. • SPECIALISED PIONEER FACILITATOR TRAINING: upon identification of certain skills and strengths, Pioneers are selected for specialised training and mentoring to become Generations For Peace Pioneer Facilitators. This includes a period of personalised mentoring and training, combined with opportunities to facilitate at Generations For Peace camps, advanced trainings, and refresher workshops around the world. • RECOGNITION AND AWARDS: each year, Generations For Peace recognises the exceptional efforts of Pioneers in four categories, based on our four Drivers of Change: Innovation, Quality, Impact, and Sustainability. Pioneers also get a chance to be featured in various media outlets and channels celebrating their efforts and raising awareness of the important work they do in some of the most challenging contexts in the world. • SCHOLARSHIPS AND RESEARCH GRANTS: through the Generations For Peace Institute and its academic partners, Pioneers can benefit from research grants and scholarships for academic study and research in peacebuilding and conflict transformation. • EMPLOYMENT AND INTERNSHIP OPPORTUNITIES: our Pioneers also have opportunities to serve as interns and as part-time or full-time staff at the Generations For Peace Headquarters or at established Generations For Peace Satellite Offices on a long- or short-term basis. This also ensures our offices are strongly connected with the realities of programme contexts and conditions in the field.